The study also found that this type of tourism generated US$ 165 million (S/. 536 million) in household income and wages at the local level, as well as more than 36,000 jobs in localities and surrounding cities. One of the most important questions pursued by this CSF study is whether or not the fact that an area is considered ANP made it more attractive to tourists. The answer was overwhelmingly affirmative. An area that is declared a Protected Natural Area increases the number of tourists between 33% and 100%. 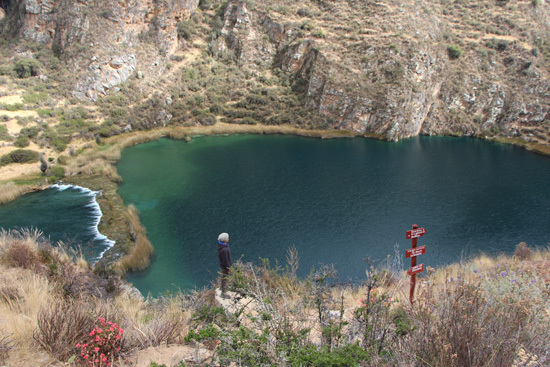 For example, the report added Ausangate to its field of study, an area of Cusco that has been proposed for an ANP designation, but does not yet have it. Last year, Ausangate saw only S/. 29 million in economic impact. Which, in the light of this study, could be significantly increased with ANP designation. Based on these findings, CSF proposes three actions for the State to take advantage of the economic impact that tourism can generate in the Protected Natural Areas of Peru: finance the effective management of the ANPs, strengthen the participation of local and national businesses in the ANP, and expand SINANPE to take advantage of the economic opportunities it provides to the public and private sectors. Finally, it is worth mentioning that this study took into account more than 1,000 surveys of tourists, local businesses and their workers in five Natural Protected Areas (the Historic Sanctuary of Machu Picchu, the Nor Yauyos Cochas Landscape Reserve and the Tambopata National Reserves, Pacas and Pacaya Samiria, as well as the proposed ANP in Ausangate). Fernando León, Deputy Minister of Strategic Development of Natural Resources of the Ministry of Environment, who was at the presentation, said that "it is necessary for the national tourist to visit the Protected Natural Areas more.” He proposed that Peru should "bring the ANP to schools," as a method for people to start appreciating these areas of the country as children. In turn, the Vice Minister of Tourism, Rogers Valencia, stressed the importance of at least basic infrastructure for all tourist destinations. "You can not think of building tourist destinations in places where basic infrastructure is lacking, such as connectivity," he said. "Tourism must be an instrument that allows us to look to the future," he concluded during his presentation.